Swimmers and boaters were advised to stay out of Lake Michigan through Tuesday night due to hazardous conditions. 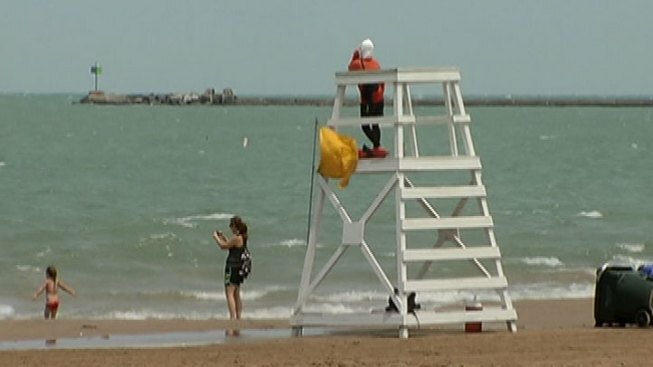 The Coast Guard, the National Weather Service and the Chicago Park District all issued cautionary statements about wave heights, high winds and rip tides. Chicago Park District lifeguards patrolled patrolled the shoreline at most beaches on Monday. The district -- which continually updates conditions on its website -- issued swim advisories at most beaches. Officials with the United States Coast Guard said two sailboats capsized over the weekend in incidents that sent five people into the water. The NWS advisory extended along Lake Michigan from the Wisconsin/Illinois border to the Indiana/Michigan border.